This space is kitted out with a range of high end commercial equipment and appliances and is available to hire with or without use of other event spaces. 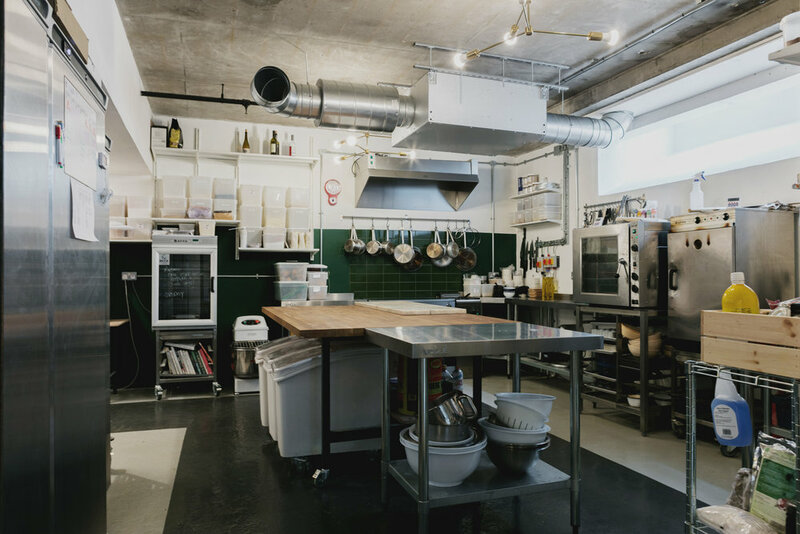 Perfect as a prep kitchen or as a part of your supper club hire, and you can also host cooking classes within the kitchen. 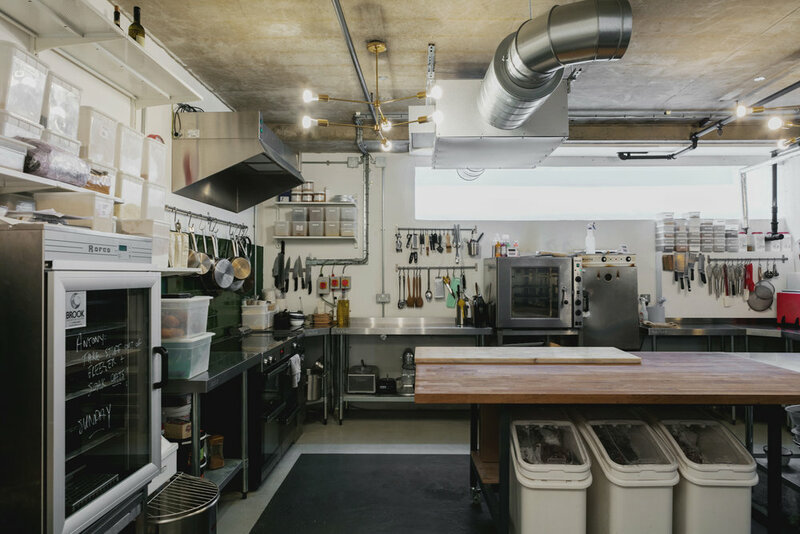 This kitchen operates as a bakery for our in-house cafe and is in operation from 5am-4pm on weekdays. 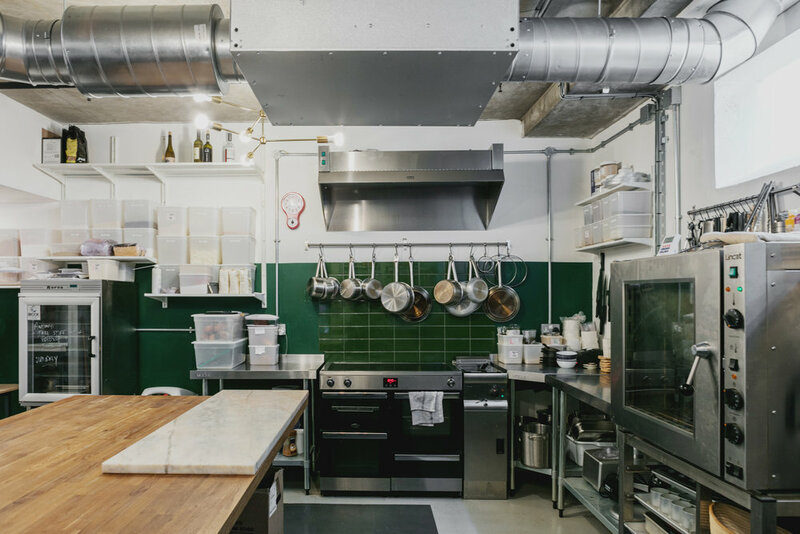 You are able to start prepping in the kitchen from 4pm for a weekday event and the slots for the kitchen on a weekend are 9am-3pm or 5pm-11pm. 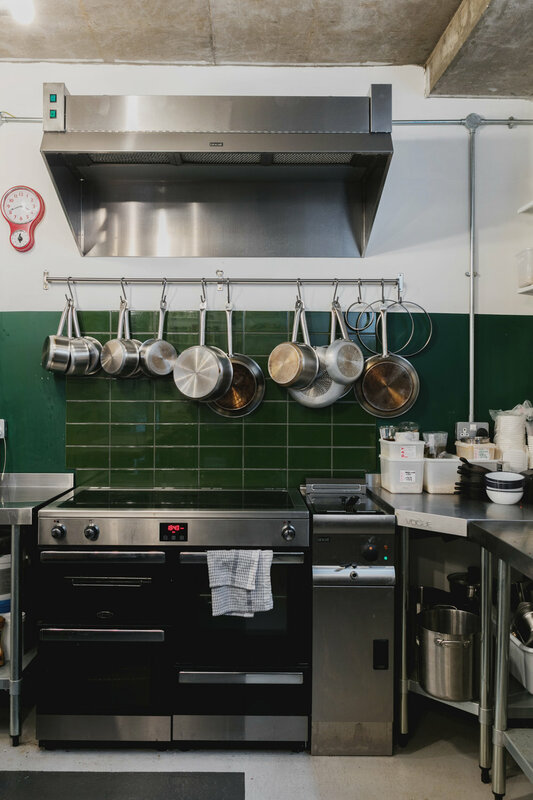 WAnt to book the kitchen?